Everyone will remember the score of yesterday’s game. But will they remember the numbers of Brazilians that FIFA has displaced and disenfranchised? The key numbers in Brazil are not 7-1, the score of yesterday’s historically lopsided World Cup semifinal loss to Germany. Yes, those numbers matter. Yes, it was a dark day in the history of Brazilian sports that will be remembered in shocked silences for as long as a soccer ball is kicked around in the country. Yes, it may even sway a presidential election in the country this October. But these are still not the key numbers. Here are some other numbers that will have much more bearing on both Brazil’s present and future. These are the numbers that animate far more debate and discussion inside of Brazil than the US media, with their view from Copacabana beach, have portrayed. $11–14 billion. That is how much the World Cup is going to end up costing the country. No one in government, when asked, is actually even sure as to what the final bill is going to be. This is not unique to Brazil by any means. Mega-events produce this kind of economic uncertainty and graft wherever they nest. But in a country where health and education are pressing issues, it stings. 250,000. That is the number of people—overwhelmingly poor—who may be displaced by the time all the confetti has been swept away. Many of those losing their homes live in Brazil’s favelas. These communities, under constant attack by real estate speculators and the military police, have formed the backbone of Brazil’s urban culture for over a century. Several of these communities have been under military occupation during the Cup leading to brave, albeit uncovered, protests far from the public eye. 2016. That’s the year the Olympics are coming to Rio de Janeiro. If people in Brazil were this upset about hosting a soccer tournament, how will they feel about paying for Olympic golf? Also if people in Brazil found FIFA to be imperious, wait until they get a load of the IOC. One of their lovely aristocrats in charge will undoubtedly say some variant of “Let them eat horse dressage” before it’s all said and done. 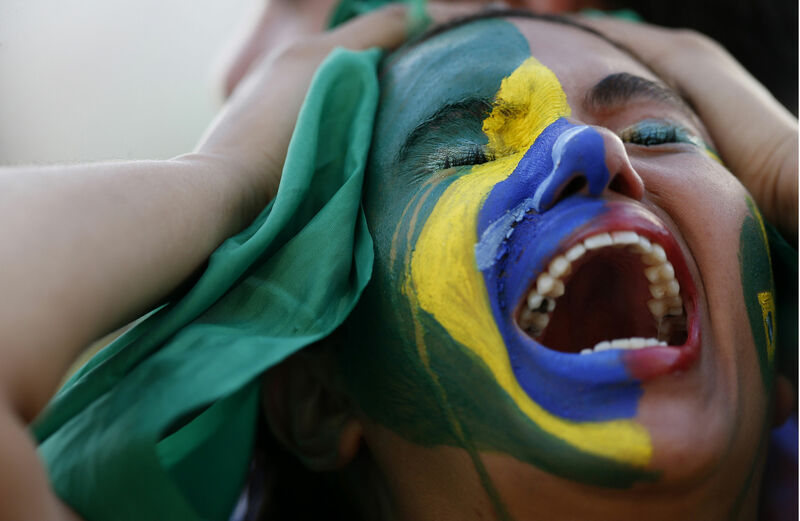 Yes, a 7-1 loss is a brutal way to exit the World Cup. But masses of people throughout the country have already committed themselves to fighting a different kind of brutality: the hosting of mega-events on their backs. That anger isn’t going anywhere. The question will be whether Brazil can sustain the level of militarization that has muted the protests during the World Cup. It is probably economically unsustainable to maintain the FIFA police state for the next two years. That will open more space for dissent, and these dissenting voices must be heard. It’s Brazil now. FIFA and the IOC have both stated their desires to return the Olympics and World Cup to the United States. Unless we want to experience this brand of weaponized gentrification-on-steroids, we would do well to amplify Brazil’s fighting voices and encourage those around us to listen. It’s not about solidarity. It’s about common survival.